An amazing waterfall, called Yinlianzhui, is situated in Tianxinggiao scenic area, a national park, which boasts several types of plants and grotesque rocks. Tianxinggiao is located seven kilometers away from Guizhou Province, in China, and named after natural rock bridge located there. The steady and continuous movement of the waterfall through the rocks appears that there are several pieces of white chains that are hanging from the mountain. 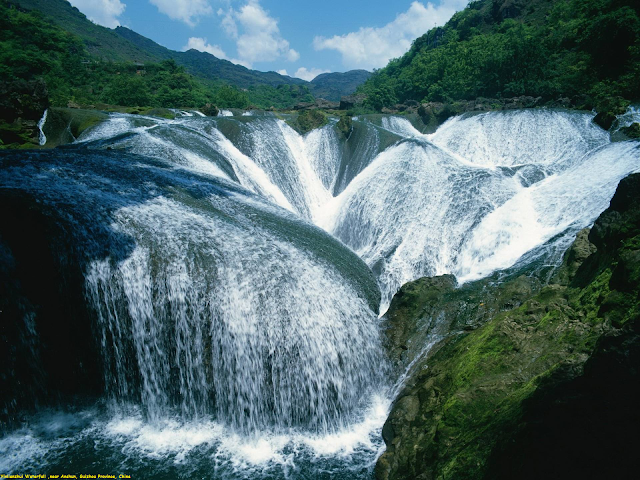 It is also called “The softest waterfall in China” due to its elegant posture.